Since the FAO Livestock’s Long Shadow Report in 2006, there has been mounting research on the role of livestock in food security, the growth in the livestock sector, and its impact on climate change (CC). As of 2000, the livestock sector has been estimated to account for 18% of man-made GHG emissions. Other authors instead suggest that this value is largely underestimated, as livestock production seems to make up 51% of total GHG emissions. In any case, the livestock sector is a major contributor of GHG emissions and therefore one of the targets of any mitigation policy. In addition, the livestock sector absorbs 58% of direct human appropriation of bio mass, 70% of agricultural land (from which 33% is designed to feed crop production) and 30% of land globally. Unfortunately, only few attempts were made to address the issue of livestock and CC, and differentiate within it different categories of livestock farming systems, so to inspire specific policy measures to deal with these farming systems according to their different category. b. actions taken by local communities, mostly based on traditions and local knowledge, can serve as a reliable set of CC mitigation measures while contributing to global food security. (iii) how successfully SSLF communities have traditionally adjusted to climate variability and how their strategies can help better respond to CC. As part of the report we will illustrate how SSLF, and more specifically pastoralism, fit into the new solutions. To address the above issues, the report provides a new categorization of livestock production systems, going beyond conventional categories. Our attempt is to integrate the classification process with livestock farming systems’ multiple inputs and to link the above process to each type of production system, so as to add a food system approach to the categories. 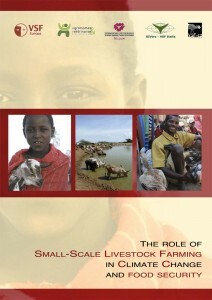 Subsequently the report critically reviews the existing literature on livestock production and mitigation alternatives. Finally, based on four case studies, it presents the adaptation measures undertaken by small-scale livestock farming communities in Turkana (Kenya), Alaotra Lake (Madagascar), Khar-o-Touran (Iran) and Huancavelica (Peru), and illustrates key socio-economic drivers that intensify CC’s effects and undermine their adaptation capacity.